Iggy will be toasty warm this winter inside this 100% polar fleece Snuggler. 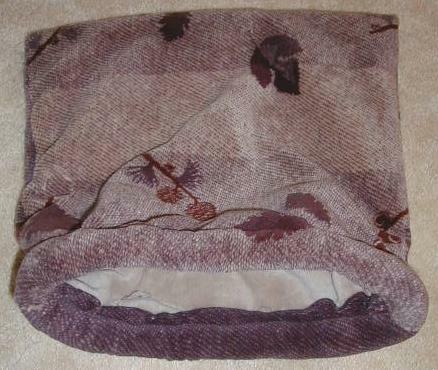 Around the outside edge is a fiberfill stuffed ring that holds the bag open. 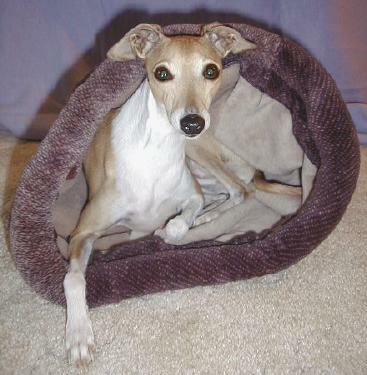 Because of this ring-like opening Iggy may enter & exit whenever the royal whim hits. Heavy weight single sided, double-layered polar fleece was used in the construction. This means that the toasty warm side of the polar fleece is both outside AND inside the bag. The effect is one of oven-like warmth! Measurements are: 19" x 20". Colors are all in muted earthy shades and winter tones.